If only scanning business documents was as easy as Google is making photo conversion. Yeah, they're doing some pretty nifty stuff on that front to be sure, which you can check out here. Unfortunately for the rest of us plebeians that live in the B2B Accounting landscape, the reality of scan and capture is a lot more challenging than just converting an old image. While getting rid of hard copy storage is valuable, it's only real merit is not having to physically store paper and the ability to recall document images quickly. The secret sauce however, is something vastly more important. That would be the lifting of the data contained on the document itself. Therein lies the challenge. How do you unpack the suitcase's contents so to speak...? You see, each transactional business document is in effect a suitcase containting all kinds of useful data that is needed to drive a process. This data can be used push forward some kind of business outcome like reconciling goods purchased, or goods received. 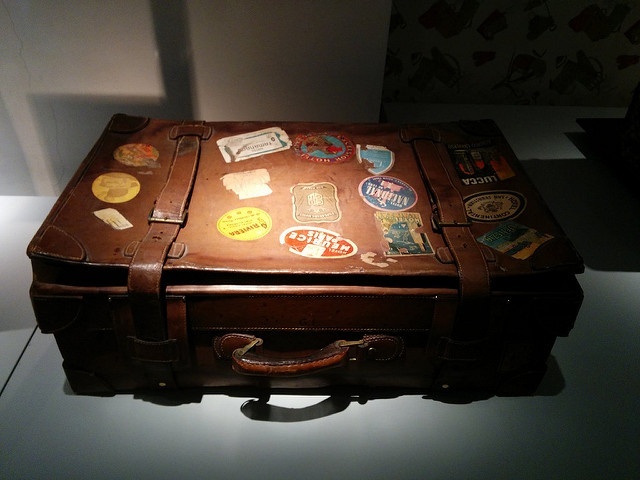 The interpreter or unpacker of the suitcase if you will allow that metaphor to fly, is typically a human, and humans are only so good at unpacking things, meaning they run into constraints on a productivity and error basis. Typically these types of transactions require some interpretation, thought, and ultimately repacking into a back end system to advance an outcome, ie. payment or booking of a sale, or fill in the blank. This has been the way things have predominantly been done for years if not decades, but with technology today, there are tools available to provide scale, automation, and visibility to what has been an overlooked and outmoded approach to converting, registering, applying, and releasing data. This would be our core argument for the necessity of advanced Optical Character Recognition. Now, unless you're a very large entity, OCR is not something you're likely to have dabbled in because it is oddball technology. It has been around a while and is proven and tested, or at least fairly reliable, with accuracy rates well into the mid 90 percentiles, but it will never get 100% accuracy due to character confidence issues. 1's looking like I's and O's looking 0's, etc. This is why OCR needs to be leveraged to drive a large volume of automation and human 'unpacking' if you will needs to audit the uncertainties. This kind of approach is scalable and is made available to businesses of all size and will ultimately impact numerous organizations as they realize that there are service providers that can actually help them divest themselves of all the manual process burden that they've had for years, and in the process boost cycle times and get total insight into the data delivered in the suitcase. With that data in hand, you can harness a document for all its worth and start to capitalize on outcomes that were previously unattainable due to processing time lag and error factors. In today’s post, we want to take some time to review some interesting trends we encountered in our recent industry readings and glean some key information from them. 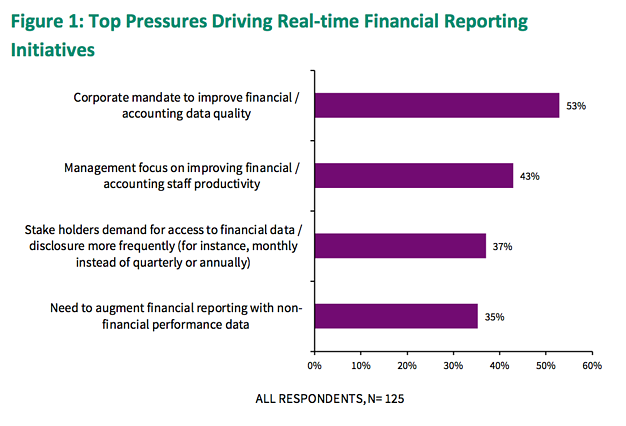 We’re going to focus specifically on the issue of financial reporting and the direction it’s heading, especially as it relates to areas like AP automation, and some of the implications around it. For many finance professionals it might be high time to use some new, advanced technology to boost productivity, hence the lever and gears. Research from Aberdeen Group shows that many businesses are desperately seeking to turn the tables on how reporting is done within their organization in order to be more efficient with their time and effective with their people. This is reflected in the infographic above that reflects the pressures that are being exerted upon Finance organizations across the world. We find it interesting that the top two pressures driving this change are predominantly centered around quality control initiatives and on boosting staff productivity. This may seem like old hat for champions of automation like ourselves, but it’s crucial to remember that many companies are still running their businesses on spreadsheets. While it does get the job done, there are far more powerful and time saving tools available to alleviate these burdens and eliminate the limitations imposed by such approaches. We find it interesting that the top two pressures driving this change are predominantly centered around quality control initiatives and on boosting staff productivity. This may seem like old hat for champions of automation like ourselves, but it’s crucial to remember that many companies are still running their businesses on spreadsheets. While it does get the job done, there are far more powerful and time saving tools available to alleviate these burdens and eliminate the limitations imposed by such approaches. Another interesting finding from the study, which we recommend by the way and which can be found here, is that data accuracy is generally a byproduct of automated systems which facilitates faster and better reporting cycles, be they spontaneous (eg. audits) or scheduled (eg. period closes). Either way the table above show some of the common impacts on reporting via automation. 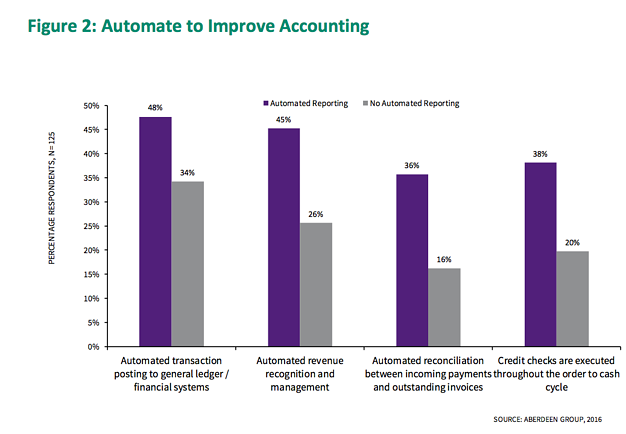 In the case of transaction posting, nearly 48% of businesses who have this feature also have automated reporting. We find this interesting as this corroborates what we do on a daily basis with respect to our clients. If you consider the process and heavy lifting of advanced data extraction and verification, data validation (against procurement and receiver data), and ultimately data release, it’s no wonder that businesses that have had the foresight to deploy AP automation systems have a leg up on the competition from a reporting standpoint. Our argument in this area is that once you have the data unearthed and cleansed from the process outset you essentially have the mithril. For you non-Tolkienites, you’ve got an invaluable precious resource that will enable you to unlock tangential processes to include financial reporting with more accurate and even automated reports. Month End Accruals - Instead of doing the archaic, departmental drill-down, you can take a snapshot of your outstanding unpaid invoices at month end to get a real-time view into pending expenses. Through this process guesswork is eliminated and this can be automated taking it down to a zero time factor essentially for your staff. Invoice Approval Cycles - Many companies have a loose grip on this, but desire to know how long things are taking to move through their approval workflows, due to both discount capture opportunities and late payment penalty pressures. This kind of reporting is automated and dynamic, meaning you can view at any time how long your expenses are taking to move from receipt through approval through payment with no handholding or troubleshooting required. Payment Monetization - From a fiscal impact perspective, reporting can be used to illuminate the many financial benefits of AP automation and automated reporting. You can quickly surface opportunities to capture discounts (as you can present terms information from invoice data extraction as a key process driver) as well as identify and route invoices for payment to more lucrative options like ACH or ideally virtual card options. While ACH won’t really earn you money, it will slash the expense of check cutting and postage. Virtual card will actually put you on a path to reap cash rebates from your payment stream and all of this will be made evidence-able via automated reporting that can be done a dynamic or periodic basis. We hope that you found this insightful and we want to thank Aberdeen Group for their excellent research in Drowning in Report Preparations? Let Automation Keep You Afloat by Keir Walker, Senior Research Associate in December 2016. I studied history for a reason. It was interesting and I did well at it. While it wasn’t my initial course of study, I paid attention when I aced my history elective in my first semester of undergrad, and by the end of the year, switched from another major. One famous and interesting historical dictum, comes from Socrates when at his trial for impiety he stated that “the unexamined life is not worth living”. Today’s post is meant to really be an introspective piece by which you examine the state of your current accounts payable process. While this may not be the most glamorous of undertakings, it is not without its merits. If bills don’t get paid, supply chains drag, production lags, customers get aggravated, & doom ensues. Simplistic yes, but there is some truth to it. With that being said, many organizations remain mired in antiquated and ineffective states of their respective accounts payable processes. Given the myriad of technology solutions available today, this should not be the case. However, in determining what the right approach is to bettering your Accounts Payable process, it’s necessary to define what optimal looks like given your unique AP landscape and business nuances. Granted, there is no silver bullet to all businesses by which you put to rest the werewolves that lurk in AP, but there are a set of tools that become helpfuland are (or at least should be common) to companies of all size. While the biggest companies, with the deepest resources for technical talent and financial prowess can generally pull off dictating terms to their supplier base and pursue things like EDI or even e-invoicing initiatives. For most other businesses however, especially the micro, small, and mid-sized (say from 1MM-1B), managing paper based or PDF invoices is the norm. As such tools like capture technology (especially advanced OCR), document imaging, electronic workflow with business intelligence, dashboarding, reporting, data validation, and ERP integration are the big rocks that are going to bear down and pay dividends for you. Faster, more efficient (usually upwards of 70% over manual processes), more transparent processes that allow you to put your finger down on any invoice or payment in the pipeline at any point in time. However, it doesn’t end there. With advances in e-Payment, there are multiple ways to cut into the volume of costly, inefficient checks that move between businesses all the time. Automated ACH and newer virtual credit card technologies enable most business to push near 80% of their payments through electronic funnels that come with the added major benefit of monetizing the process. 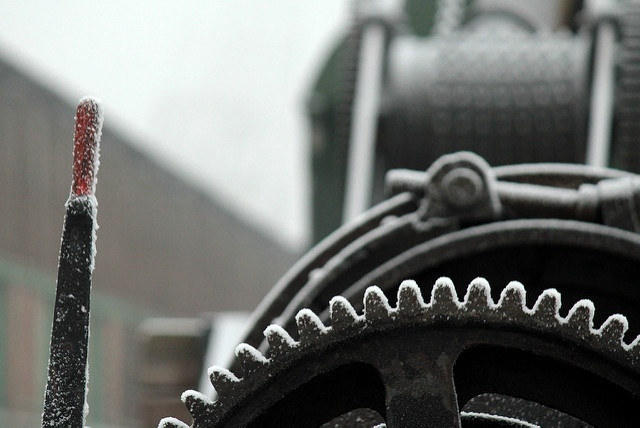 Yes, we’re going to bang this drum loudly because a revitalized, and monetized process becomes a revenue generation tool and unlocks a challenge many business executives have struggled with in the whole AP automation debate. Sure the technology stack is amazing and the benefits are easily understood, but the price tag leaves many folks in sticker shock mode. So, if you have a profitable and lean AP process that can fund the technology transformation, what then are the impediments? Certainly personnel resources come to mind but our approach to this is really to take a document process outsourcing vantage point and partner with someone who tackles the technology heavy lifting and provides the tools for you to manage your process via software. We actually did a post on that exact topic you can see here, though we believe document process outsourcing is the optimal way to go. Now all that being said, back to Socrates. If you haven’t examined it, maybe now is the time. Summer is winding down, we’re getting back to school and the fall is looming. Many businesses begin their next year planning process and perhaps so should you. If you want some assistance in this regard, just let it be known that we provide a complimentary AP assessment to benchmark your current state process in a way that may help frame the internal dialogues you’ll certainly need to have in order to create a compelling conversation for automation and ultimately that’s what we’re all about. We want AP leaders all over the world to transform their process and tap them for every ounce of value they are worth. However, in order to address the question at the heart of this post, you need to examine your own process and determine what's a priority for YOU!